We are a Vertical Blind Manufacture / Repair Specialist For Homes and Businesses Across the Exeter Area.We hope you find our website useful,why not look at the services we offer or get in touch. We offer a full range of services, ranging from small to large local projects and everything in between. New Vertical Blinds Made to Measure /Alterations to Existing Head-rails/Refurbishments / Stepped Blinds / Sloping Head-rails / Replacement Louvre's / Blind Cord Safety Devices . (Reduce the risks posed by hazardous looped cords and chains on headrails, have them converted to a ( Wand System.) 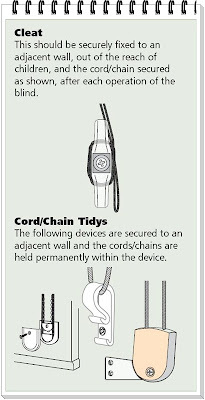 No cords and chains,user friendly,fixed wand,strong and durable, conforms to safety guidelines. Replacement weights / hangers / stabilising chain. Re-cord vertical headrails. Have your New blinds made and fitted within seven working days if required. Never beaten on quality with a like for like price match promise. Venetian Blinds Re-corded / Trimmed in Size / safety cleats fitted. 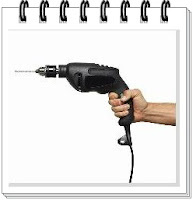 Repair / replace Tilt and Turn mechanisms / cord clamps. Free Selection Service to Homes and Businesses across the Exeter area. 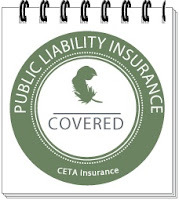 Accredited Louvolite supplier. No Call out Fee. I can offer you a Home / Site visit with a no obligation quote. Just call Mike to arrange the following. 1 ... To Bring along the blind samples for you to view. 2 ... Measure your windows/ Discuss available options. 3 ... Select the fabric that may be of interest for your new blind. 4 ... Produce a fixed price quotation inclusive of all fitting. New Louvres Made to order. Vertical louvre blinds offer perhaps the most flexible shading option of any window furnishing. The louvres can be rotated through 180 degrees and also traverse across the headrail to any position required. Every Louvolite fabric is designed in accordance with proven principles and to technical specifications that ensure it meets suitability for purpose, the blind fabrics are available as either 89 mm or 127 mm wide Louvre and your blind will be tailor-made to your selection requirements. Fantastic Louvolite Carnival range for Architects,Specifiers,Contractors. With Ultra-fresh treated fabric that kills MRSA on contact, also contains effective anti-bacterial and anti-fungal properties to preserve fabric freshness also complies with BS 5867(part2,type B) Flammability Standards. 100% Polyester fabric composition, colour fastness tested in accordance with (BS EN ISO 105). Pollergen treated fabrics can dramatically reduce the amount of active grass pollen entering a room and will de-nature up to 50% of grass pollen when the two come into contact so a deployed window blind with Pollergen treatment can significantly decrease the amount of active pollen. Really good for Hay-fever sufferers. Make your Louvre's a chain free zone , no slipping out with molded edges designed to keep the weights in place, no link chain means no more tangled up pets on the window sill. New made to measure Vertical Head-rails . 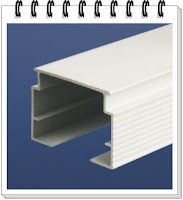 Manufactured in high quality Aluminum extrusion section, powder coated in white ,all fixings can be achieved with either our top fix or face fix brackertry. Maintenance free / self aligning, clear peg-type pinion made from U.V. stabilized material which can be replaced without having to dismantle the head-rail. The runner rotation and traverse is controlled by either a tilt wand or a cord and chain mechanism with a cord / chain tidy safety cleat. Venetian blind repairs. Vertical blind Repairs. Made to measure new blinds. Free quotes. No VAT. Electric vertical blinds are perfect for large glass expanses such as patio doors and office environments,the vertical tracks are powered by a 12 volt motor and mains supply, and operated via a remote control handset removing any cords or loops which makes them especially safe for homes with children or pets, and provides ease of use for the elderly or disabled .We can supply louvres in 89 mm and 127 mm wide, which with a touch of the button will draw across to the side or split- draw,the remote control also allows you to tilt the louvres to the desired angle providing both privacy and light. All the components are hidden within a slim head-rail giving a sleek modern finish . CUSTOMERS BLINDS FITTED . ASTRA TRACKS . / AGP TRACK REPAIRS. Track fitting service to individuals and businesses. Head-rail repairs normally carried out on site, or next day return. Fully insured, No Job too small . CSCS GOLD CARD HOLDER. New 2019 Louvolite Fabric collection with exciting new prints, contemporary and colourful stylish range of plains with character and natural textures such as Linara and Melton to the eye- catching lustrous Albery and Monroe. Sophisticated laminates - high end fabrics that really do dress the window. Exciting and up to the minute colour palettes from rich jewel tones to modern new neutrals. Blind cord safety make it safe. 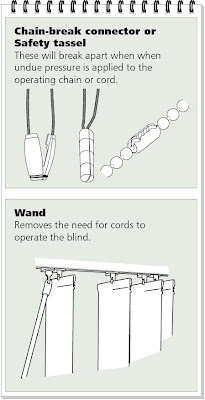 All blinds supplied and fitted with safety devices reducing the potential risk associated with looped blind operating cords, the options available are low-cost safety features that are suitable for all blinds, these include Tension devices, Wall cleats, Chain-break connectors, Cord /chain tidys and Wand systems that can be retrofitted to existing blinds. FREE quotations. FREE delivery. FREE fitting. 100% money back guarantee if not satisfied with your blinds.